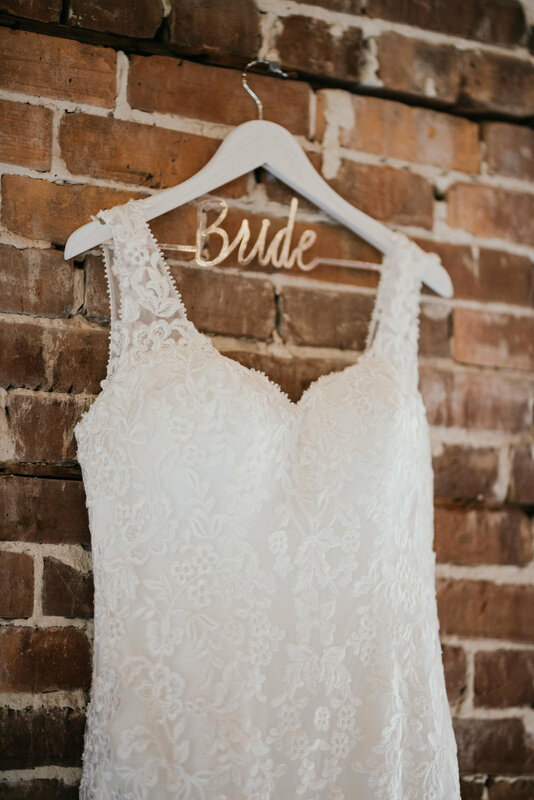 Although this couple did not have a wedding planner as part of their team, between Amanda’s meticulous attention to detail and our professional input for timeline guidance, Amanda was well prepared for their wedding day. 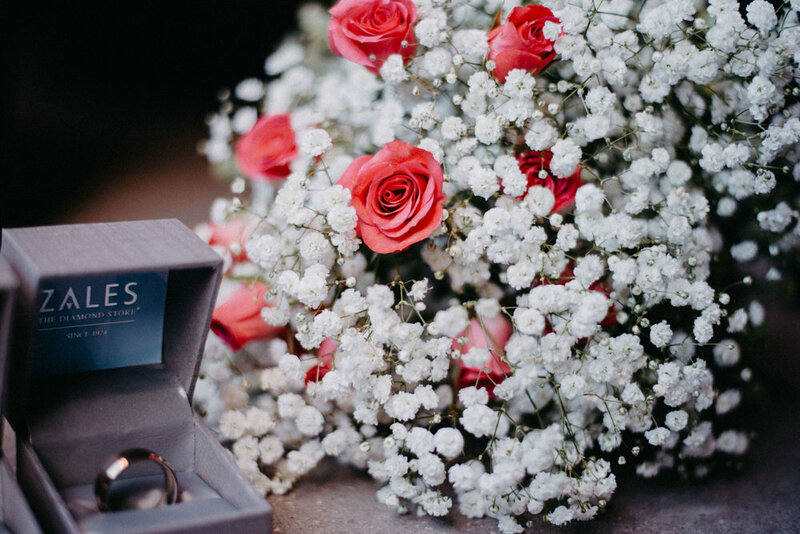 When a wedding planner is not built into the budget for a wedding day, it is this level of rigorous involvement and thorough communication with your vendors that enable you to still pull off a well-oiled wedding day machine! 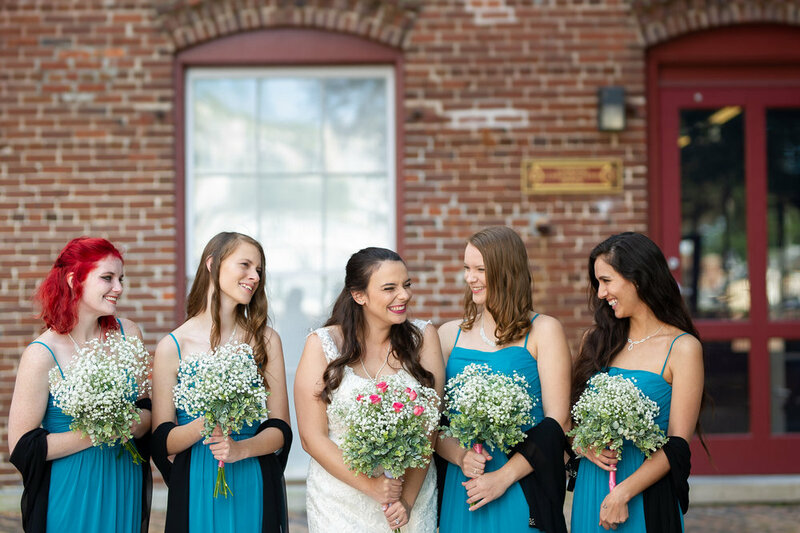 Amanda and Matt’s special day was hosted by The CL Space in Ybor. 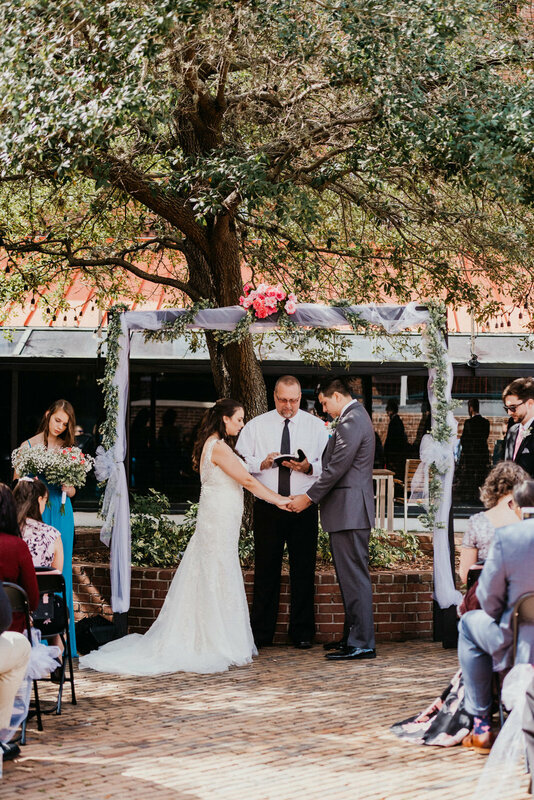 Popular for its minimalist, industrial courtyard and event hall, the exposed brick elements and open floor plan make for a great blank slate with which to style your event. 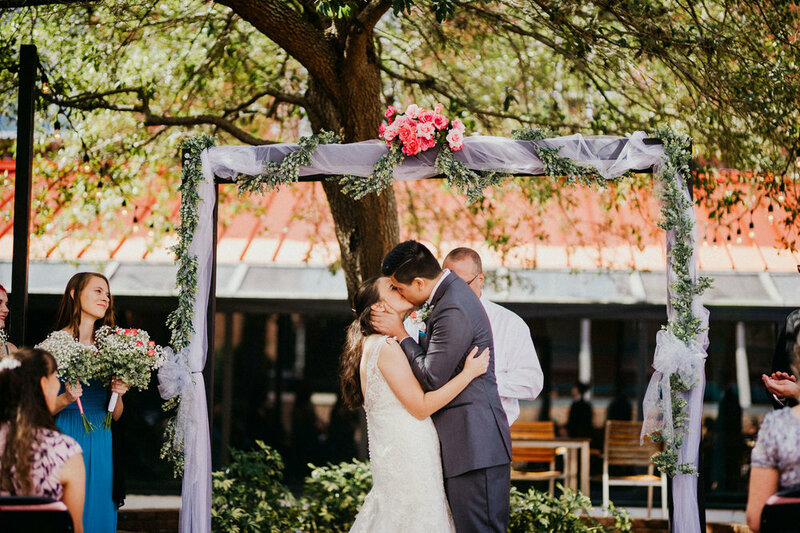 They were married in the courtyard by a close family friend, exchanging vows beneath an arbor that Matt crafted by hand, in the presence of beloved family members and roosters alike. 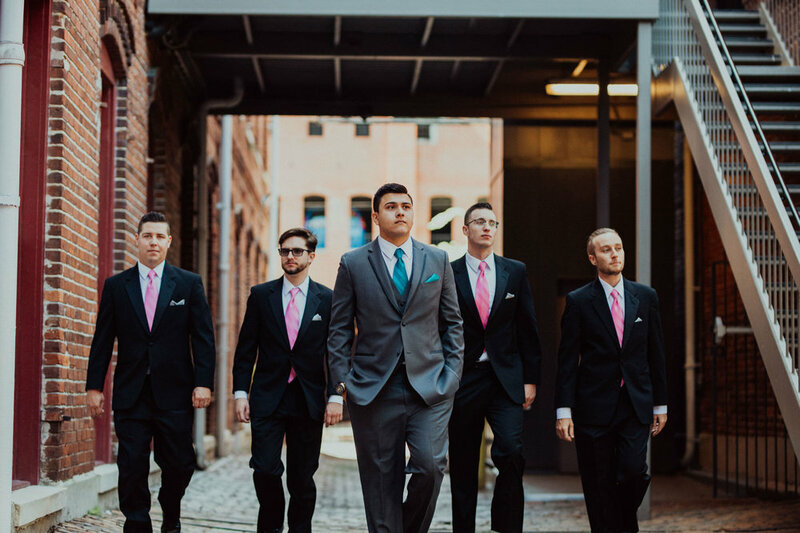 The ceremony was followed by a series of family and wedding party portraits which were some of our most fun and spontaneous group portraits to date! 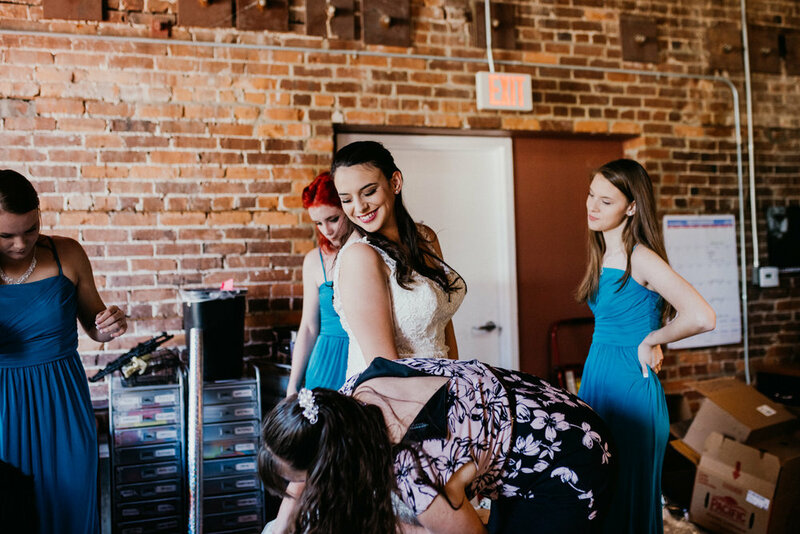 With the creative input of Amanda and Matt’s wedding party, we incorporated elements such as bubble machines and buckets of Auntie Anne’s pretzels into the group portraits to truly memorialize the fun, small details that made their day unique. 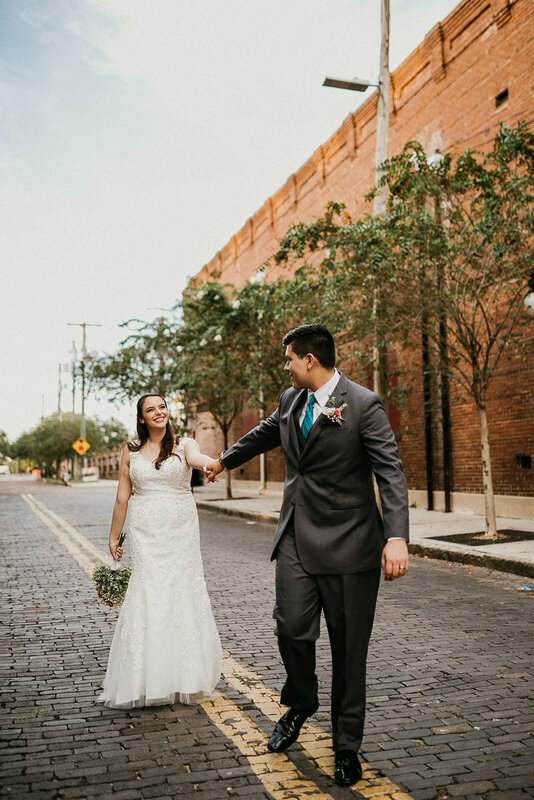 Because this was an afternoon event, we had just enough time at the closing of the reception to whisk our couple away for a handful more of Just Married portraits strolling down the cobbled streets of Ybor in the early evening light. 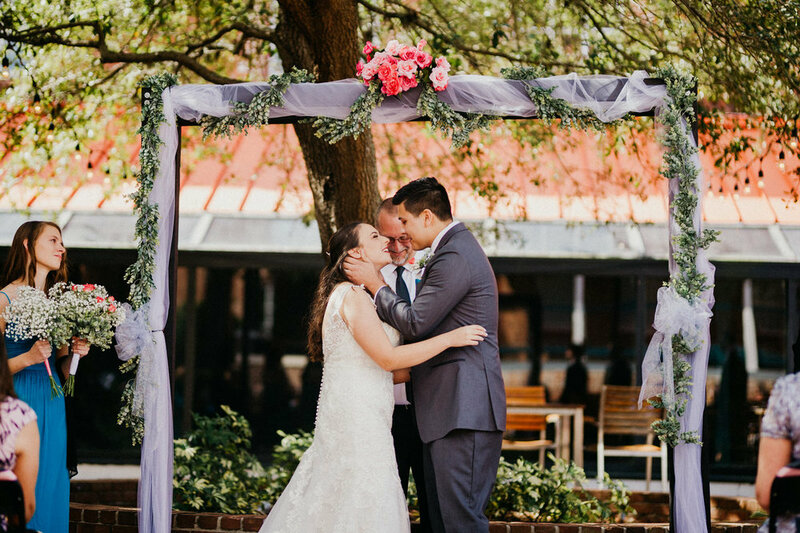 Amanda and Matt’s day was made possible by so many loving friends and family who stepped up to the plate to facilitate planning and execution of the couple’s vision for their wedding. 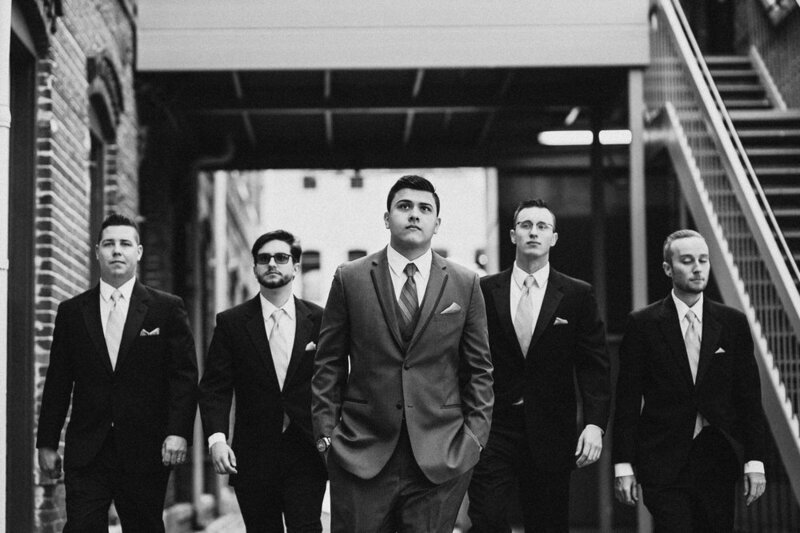 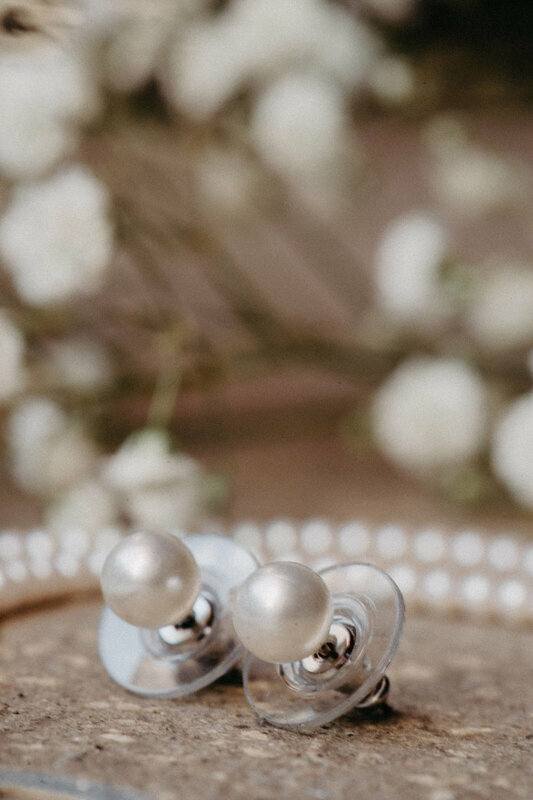 It was an afternoon full of joyous tears, photo booth antics, and other spontaneous photo op moments that made for a truly one-of-a-kind gallery of wedding images. 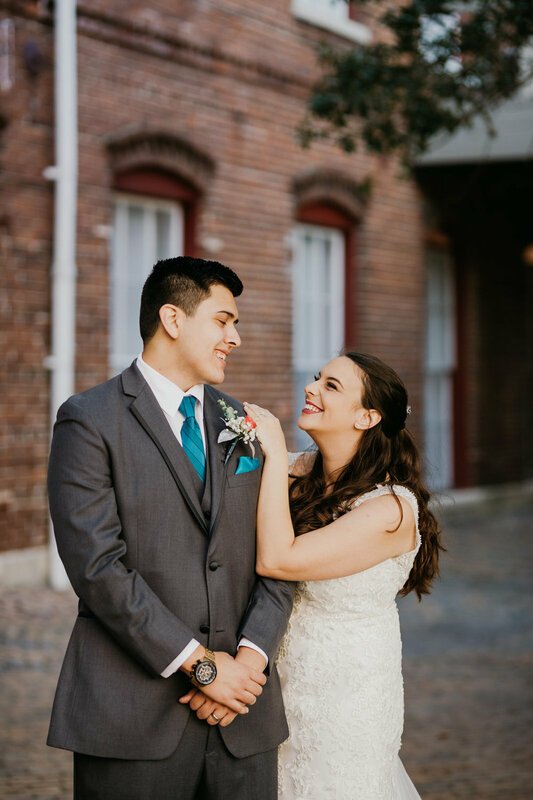 This couple was one full of laughs and positive energy, and we couldn’t have been happier to spend the day with them! 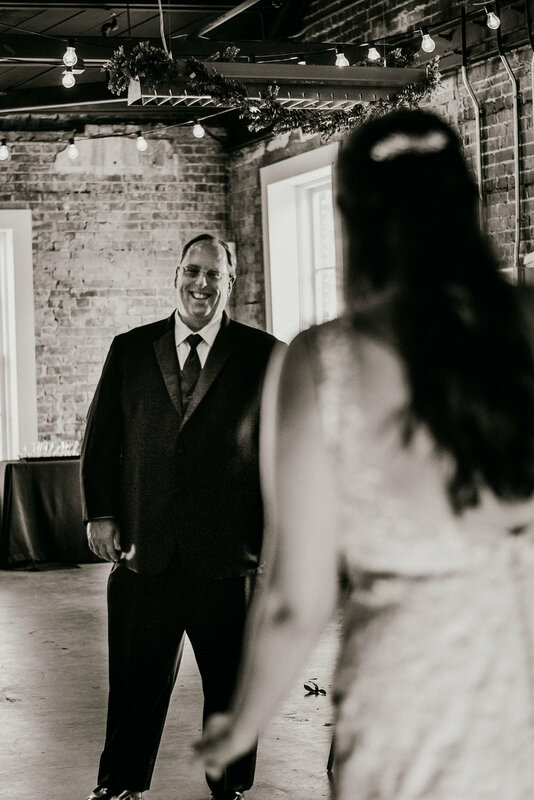 We wish them so many more years of laughter and joy, and we look forward to being there to celebrate those years with them.